Birds & More | Cool Links for the Birder! Birds & More 2 is located in Raleigh, North Carolina. You may reach us by calling 919-772-7234 or by visiting the commercial members section of the Raleigh-Durham Caged Bird Society. We do boarding and grooming in a loving and safe environment since 1990. You may also contact us atbirdsnmor2@nc.rr.com Check us out! 8 Benefits of Bird Watching - If you’re on the fence about whether or not you should take up this fascinating hobby here are 8 benefits of bird watching that should help you make your decision. Pets Happy Hour - Interesting info on all types of parrots. Good Call - moving to another state? Good Call is a state-by state guide to moving with pets. parrotalert.com is an advanced global geographical lost, stolen and found parrot reporting and alerting site. parrotalert utilises mapping technology to help you report the precise lost or stolen location of your feathered friend and alerts a registered community within an area of your lost/stolen location. parrotalert.com allows you to spend less time on-line and more time out looking for your feathered friend. Birdfeeders.com has a wide variety of feeders to attract birds to your backyard. Budgerigar Parakeets (http://www.budgerigarparakeets.com) A complete guide about budgerigar parakeets, breeding and breeders articles, care, behavior, budgies for sale. Cozzy Covers-Your pet needs a natural day and night cycle to be healthy and happy. You can provide that with our perfectly designed bird cage cover! Why not throw a sheet over it? Because that's downright dangerous for your bird! Our covers are designed to allow airflow both vertically and through the bottom of the cage. Birds are extremely sensitive creatures, and in any environment that doesn't offer good ventilation, any dust that builds up in the air can cause respiratory problems. The heat buildup can also become dangerous. Our covers avoid that danger, and offer the safe, cozy environment your bird needs to sleep and thrive. Welcome to Center-Sinai Animal Hospital! 10737 Venice Blvd Los Angeles, CA 90034 We provide a full range of pet care and emergency services for Cats, Dogs, Avian and Exotic Pets! Parrot’s diets should contain a variety of different natural foods such as grains, fruit, vegetables, nuts and other proteins, like lean meat and eggs. Birds should receive one full bowl of these fresh foods twice a day! At the Menagerie in Summerland, CA, we hand feed and take care of birds so they become good pets. We sell food, cages, and toys. We groom and bathe the birds. We cook them homemade food like "Birdie Cornbread" "Parrot Pilaf" and "Sweet Potato Pie," McLeod's Parrot Cuisine developed by our own Jamie & Jodi McLeod. Offers parrot cages, bird food and other supply including books, diapers, play stands and toys. African Grey Forums - Check out the African Grey Forums and talk with other TAG and CAG owners about your birds. Allandoo Pheasantry - Many people know only of the common game pheasants that can often be seen in the countryside bred for shooting purposes. However, there are 49 species of pheasant. The majority of these are endangered or vulnerable in the wild, mainly due to deforestation. At Allandoo Pheasantry, our goal is to propgate and preserve the species of these magnificent birds. We are breeders of ornamental pheasants in Southwest Scotland. We think pheasants are cool and so will you after visiting our site! This site is dedicated to the miracle macaws that have been ranging free in the Netherlands for over 25 years. Toos and Nape, as we have named them, allow us, and you, a closer look into the lives of wild macaws. Buy wild bird food direct from the farm as farm bird food. Farm bird feeds include bird seeds, sunflowers, peanuts and fat balls. Cages, Toys, Books, Food, Gifts, Articles and more! The site comes to us all the way from the land down under! Gordon McDonald the ower of the site specializes in raising Lutino Fischer Lovebirds. This little site cares for the wellbeing of the lovebird, full of good information & great photos. Check it out today! We have over one million images at Fotosearch including several thousand images relating to birds along with hundreds of free video previews of all kinds of birds! Fotosearch: a great way for people to research what different types of birds look like, where they live and how they live. Visit us today! This site comes to us all the way from a small town in Holland where Robbie van Overmeeren has over 40 years experience in breeding birds. Check out his site and the links and view the photo album of his birds. Nokkhoa.com is a site that comes to us all of the way from Thailand. The site talks about raising Zebra Doves as well as several other species of doves and can be read in Thai or in English. The site is a little slow to download as there are many large pictures. Not for the dial-up crowd. Tropical Birds Forum provides the bird lover with a forum to share and learn about birds and birding, nest boxes, bird identification and much more. You can even share your birdwatching experiences and photography with others. Come check us out today! As you wander around our garden, you'll be sure to find that special item for your garden or outdoor space. we hope you enjoy the wide variety of bird feeders, bird houses, hummingbird items and other bird related items we offer. There will always be something new for you in our little garden patch. Enjoy! InfoHub has compiled a list of bird watching locations and birdwatching tours around the world. Go to Info Hub Birding Tour Packages and click on the tour name to view details of the bird watching tour packages. You can also contact a tour operator to ask questions, order free travel brochures, and book a tour all from this web site. Parrots Paradise Uk - Online bird forums. 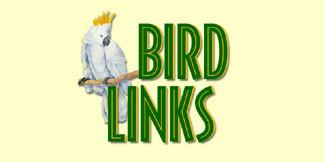 Offers areas of classified ads, links directory, information on various species of birds & more. The Bird Lover's Online Directory! If you are looking for a bird-related website, this is a great place to start. We're a resourceful directory with a personal touch! "You can easily tame and train your parrot...even a wild, biting and out of control 'juvenile delinquent'...into a trick-trained, hand tamed and fully trusting 'Member of the Family' starting on your very 1st day!" At Bestpetcages.com, we import pet cages and sell them directly to consumers so we can offer you high quality products against the best prices you can find on parrot cages and bird bages in the UK. We also supply parrot playstands, cage covers and cat trees. Visit our site and see how you can improve the quality of life of your bird considerably. Books From Bird Watchers Digest At Bird Watchers Digest Shop we not only have books about birds, but we have bird feeders and bird houses too and much more! Visit us to see all of the wonderful bird items we carry! This book covers everything there is to know about Cockatiels. In fact, some people have called it the "Unofficial Cockatiel Owner's Manual". Learn how to keep these sweet birds happy and healthy. Parrot Cages UK- We are specialists in quality small and large Parrot Cages and bird cages for all exotic birds, including Playstands for African Greys, Amazons, Cockatoos, Senegal's, Macaws etc . We import our Bird cages and sell them directly to consumers and can offer you a high quality product against the best and cheapest prices you can find in the UK, and have a large selection of Parrot and Bird cages for sale for you to choose from, with new designs coming soon. StarBird Parrot provides unique enrichment products for the companion Parrot. Check out the Web Site to see the "Taking the World by Storm" , Get a Grip, Brainiac Block, Fuzzy Wuzzy Preener, Foot Balls, Perch Locks and other innovative StarBird enrichment products. The Parrots At Play Calendar is a fund-raising program of the Parrots At Play Corporation, a charitable, volunteer, 501 (C) 3 Non-Profit Corporation registered in the State of Massachusetts. All net proceeds from the sale of calendars benefits non-profit avian organizations. The annual photo contest for the calendar runs from Feb 1 to Jun 30th. Please visit www.parrotsatplay.org for program details. Importer / Manufacture, 100% Organic Coconut Husk Pet Products - Nesting Fibers, Nest Box Substrates, Cage Bedding for Birds, Reptiles, Rodents and much more. No Chemicals, Pest or Pesticides. No Bad Side Affects, Non-Toxic and Harmless if Ingested. CREATURE TRAVELERS Coconut Husk (coir) Products are Entirely Biodegradable and have No Negative Effects on the Environment, either during Production or when being Applied. They are made out of Freshly Discarded Empty Coconut Husks. ** Basically waste Product Recycled into Miracle Products ** Best for Pets, People and the Planet. We SPECIALIZE in AMAZON parrots! Also breed Conures, Quakers, Parrotlets, Lovebirds, Finches and Doves ! We are located in Puyallup, Washington. You may contact us either by email or (253) 539-0371 lv. msg. A complete and versatile Avian Management Program designed to meet the needs of all avian breeders. Bird Tracker not only stores all necessary information you need to manage your aviary, but also allows you to load and edit the genetics for any bird species you work with and the program will automatically calculate the probable genetic outcome of any breeding pair. The program already comes pre-loaded with genetics for Budgerigars and Cockatiels. The Genetic varieties for any Species can be easily added to the program. Only the most memorable parts of songs are played so your bird will learn the part of the song you want. Each track plays five times with a one minute delay in between. This allows your bird ample time to reflect and practice. This recording was not designed for human listening. It is a serious bird training tool. Birds & More recommends that you teach your parrot to speak before you teach them how to whistle. Cherie Vergos is an animal artist residing in Pennsylvania who draws affordable portraits of parrots, dogs, and cats as well as other exotic pet from your favorite photograph. Pet Portraits make a wonderful gift or a rememberance of a beloved pet. Visit my web site for more details. Bob Bartley and Gypsy the Macaw have been working together for over 20 years. Their unique blend of comedy and visual entertainment will make any event an experience that your guests will talk about for years. Several themes are available: pirate, sailor, Renaissance, rain forest, corporate and casual. Fun for kids of all ages! At Toolady you'll find many new, interesting and exciting links on exotic bird resources, shows, classifieds, calendars of events...you name it and we can help you find it! Thank you for being a link partner, for so many years. I just wanted to let you know that my book, "My Human, My Slave" is back in print, after a break of 5 years. Since it comes directly from the printer, you do not have to pay the inflated prices to a Book Distributor. You can order as few or as many as you wish. Make sure you have enough for the Holiday Season. Remember that all the proceeds from these books goes to help parrots in need. If you have ANY QUESTIONS, at all, contact me at 888-327-9089. The Parrot Pages - A Home for Avian Information. We have searched the web so you don't have to with over 1800 Links. Featuring an innovative new design in cages with an octagonal design of 4 solid acrylic scratch resistant panels alternating with 4 wrought iron panels. We also carry a full line of carrying cases, playpens and toys. We carry unique and extraordinary products for pet birds and their humans. Free gift with purchase of merchandise totaling over $35.00. Need a great gift...come check us out! Visit the Parrot Talk site and read about Taylor's tragic story. A man that had never hand fed a baby before and a breeder that didn't care combined to end little Taylor's life. Please help stop this from happening to some other babies! You can make a difference! Here at the Captain's Cove we carry all kinds of nautical gifts and accessories for your boat or home. We also carry a great line of T-shirts from a company called Caribbean Soul that feature colorful parrots and fun sayings. They make perfect gifts for all occasions! Go check them out and tell them you were sent by Birds & More! Rob Harvey was Curator and owner of Birdworld, the UK’s biggest bird park, for over 20 years and has traveled the world designing and landscaping new parks and lecturing as an avian consultant on most aspects of avian husbandry. Best known for his research into artificial incubation and subsequent books and videos, Rob is now selling what he considers to be the best diets and products available for your birds. You'll find many products for your pet bird! This site contains lots of information on pet parrots, supplies, organizations, legal issues, recipes and much more! If you love Macaws, you've got the right site. Our site provides fun and useful information concerning Macaws, their health and their behavior. We are breeders of over 50 different kinds of parrots and soft bills from subtropical regions. Our site is filled with fun facts, contests and info on really cool bird watching trips. Check us out! The Pet Bird Report is a magazine dedicated to providing bird owners with the information that they need to have and or raise excellent companion parrots.